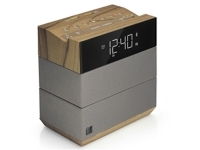 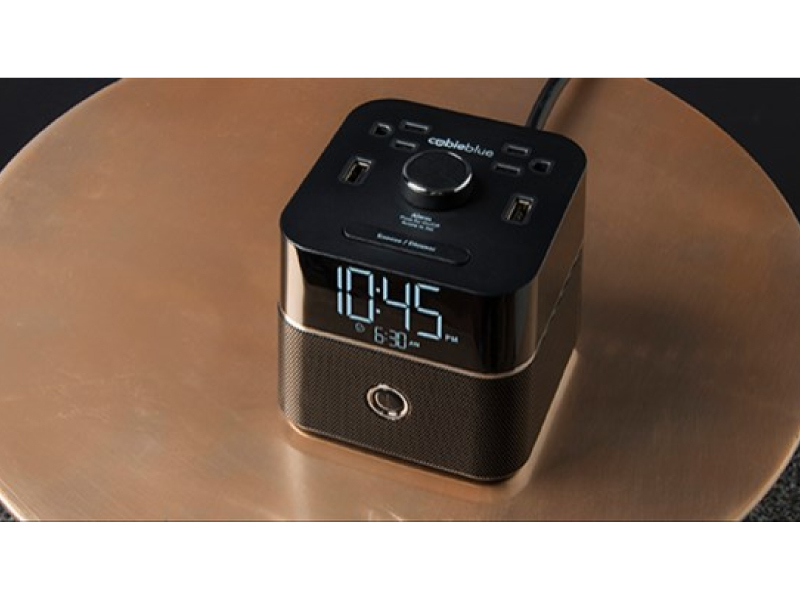 The Desktop Charging Bluetooth Alarm Clock, Stream music with the all-new & boldly innovative - The Desktop Charging Bluetooth Alarm Clock, combines a simple alarm clock, bluetooth music play through with the convenience of charging at the nightstand. 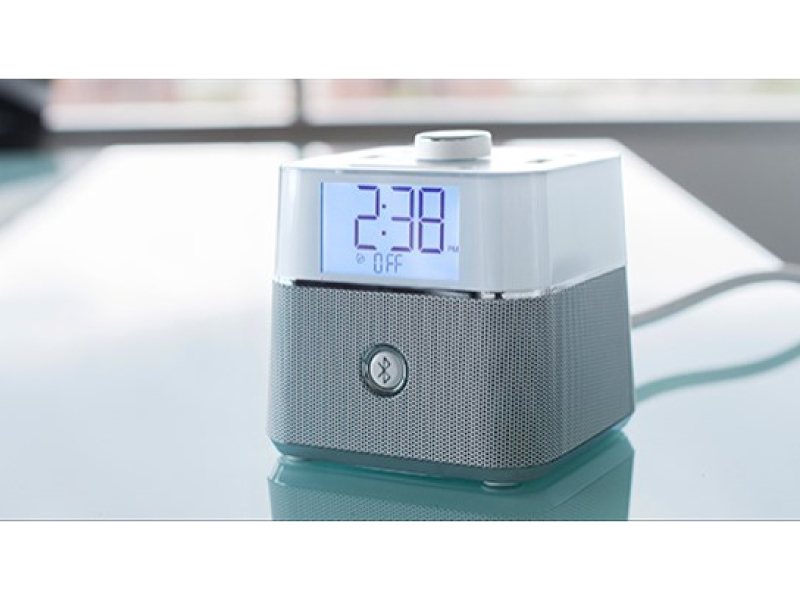 The Desktop Charging Bluetooth Alarm Clock is the perfect combination for a hotel guestroom with its easy to set alarm, display dimmer, minimal footprint, bluetooth speaker and guest facing power and USB outlets. 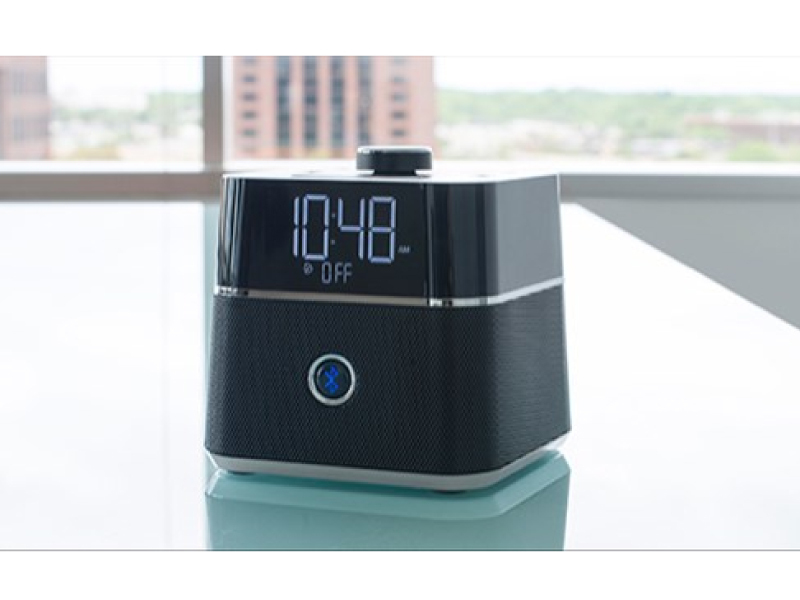 The bluetooth function will not remember a previous guest's device to avoid re-pairing errors during their next visit. 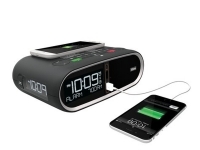 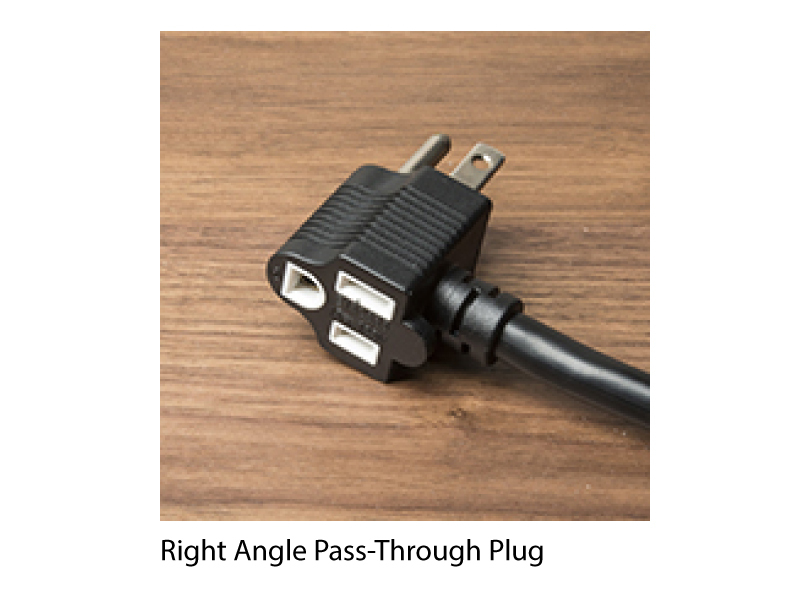 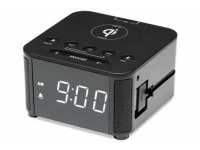 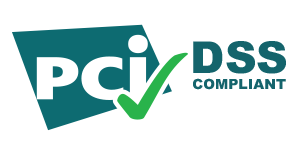 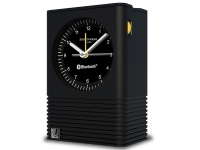 The Desktop Charging Bluetooth Alarm Clock also features a pass-through plug, surge protection, single day alarm, auto update for daylight saving time, security c-clamp and meets strict UL standards including a UL spill test.